Japan is currently undergoing a catastrophic “graying” of its society: the number of retiring baby boomers is now over a quarter of the population, the child birth rate is the lowest in history, and population is set to shrink by an unprecedented 30% over the next three decades. In response, the Japanese government has encouraged both maternity leave and paternity leave. 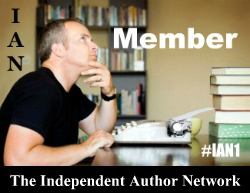 Old habits die hard, and so familial, corporate, and societal structures have resisted. Mothers who take maternity leave are pressured and harrassed into quitting their jobs entirely. Fathers who talk about taking even a few days off for paternity leave are chastised and browbeat by superiors at the workplace. Politicians who tried to encourage paternity leave by themselves taking a short leave received hundreds of letters deriding them as “effeminate.” One man decided to buck the trend and take up the Japanese administration’s call for more fathers to participate in child care by applying for an entire year off from work, unpaid, to raise his one-year-old daughter. Only he wasn’t Japanese. 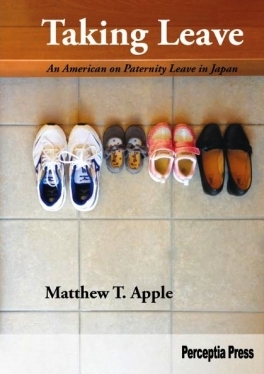 Taking Leave: An American on paternity leave in Japan is more than just a simple description of how American college professor Matthew Apple adapted to his role as stay at home father for a year. The book also delves into social issues influencing Japanese society in the 21st century such as gender roles and responsibilities within the family and the challenges of raising children of mixed parentage to be bilingual and bicultural in a largely (until now) homogenous society. Along the way, Apple examines Japanese holidays and festivals, takes a critical view at Japanese health care, questions the gendering of children’s clothing and toys, describes the negative effects of the Japanese corporate practice of tenkin, or job transfer, and why “womenomics” will be ineffective without an accompanying increase in men participating in child care at home. Taking Leave is an exploration of Japanese culture from an insider’s outsider perspective. From the Doll Festival to the Flower Festival, from An-pan Man and Usagi-san to food education and the nursery school system, Apple informs readers not only about the current state of child-raising in Japan but also suggests what families, and companies, in the US and other Western countries might learn both from the difficulties facing Japan as well as its existing health and educational infrastructure. Published Nov. 2015 (Perceptia Press).